Agar for Weight Loss: Does It Actually Help Dieters Lose More? Agar is a relatively common ingredient in many kinds of dietary supplements, including those that claim to be able to promote faster and easier weight loss. This substance has a long list of different names, which include agar-agar, agar-weed, Chinese gelatin, acerosa, gelidium cartilagineum, agarose, agaropectin, agarose gel, colle du Japon, garacilaria confevoides, among others. When it all comes down to it, agar is a plant. It is used in cooking as well as in medicine. Many people have been using agar to help them to lose weight, particularly in Japan, where it is called “kanten”. Aside from weight loss, this ingredient is also used by many people for the treatment of constipation and diabetes. Agar is a kind of gel substance that doesn’t actually have any impact on weight loss, but that will expand in the stomach when combined with water. This can mimic the sensation of having more food in the belly than is actually there, so that the dieter will feel more full than he or she actually is, reducing hunger pangs. This ingredient also has a stimulating effect on the bowels and can help to promote regularity or can function as a laxative. So far, studies have shown that agar is actually potentially beneficial to dieters. When taking this orally while following a traditional Japanese diet for 12 weeks, studies have revealed that it can reduce the dieter’s BMI. This is the case among dieters who are obese, diabetic, and who have an impaired glucose tolerance. The diet becomes more effective than following the traditional Japanese diet on its own. That said, more evidence is needed before it can be determined exactly how effective this ingredient is, how much is needed for maximum effectiveness, and at what point any side effects negate the benefits of the ingredient. So far, Agar is considered to be possibly safe for the majority of healthy adults when it is taken by mouth in conjunction with at least one 8-ounce glass of water. When it is not taken with enough water, it can cause esophageal or bowel blockages because it could swell up in the wrong place. 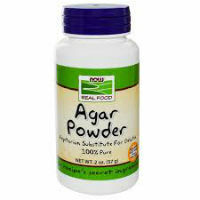 It is very important to consult a doctor before taking agar as a weight loss supplement as there is a risk of bowel blockage or obstruction when taking it. It should not be taken if a bowel obstruction already exists. 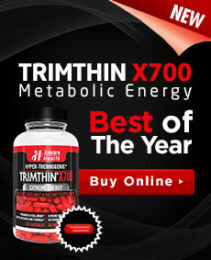 Equally, this should not be taken by dieters who have trouble swallowing.